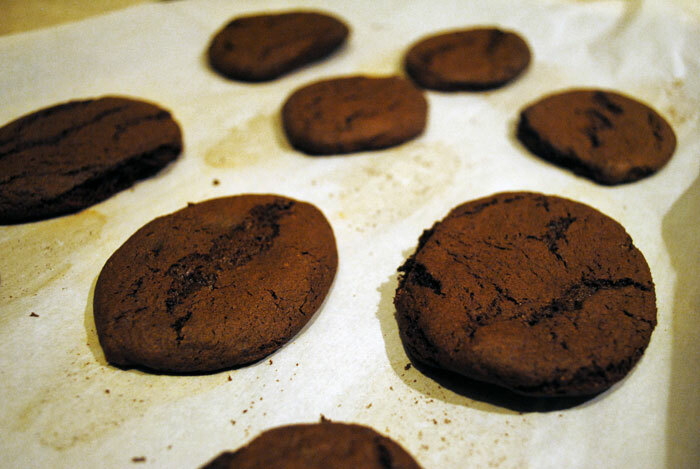 This time, instead of cooking for ourselves, Sean and I decided to bake some cookies to bring to a SuperBowl party. 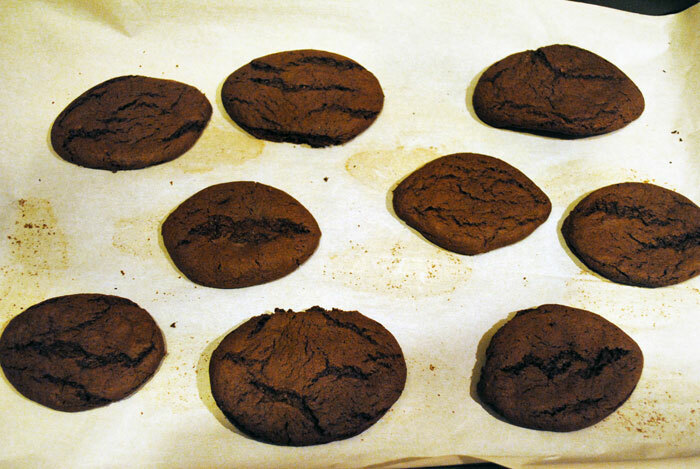 And I know our track record on baking cookies in the past wasn’t great….but I had a good feeling about these. 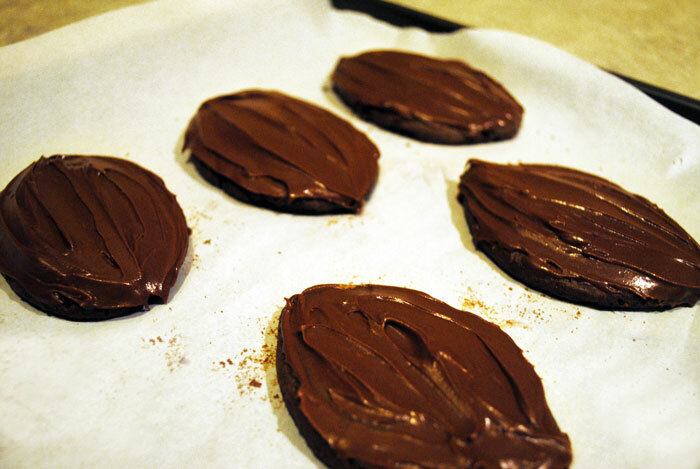 They’re actually a spin on cookies because the recipe actually calls for a box of cake mix. So I feel like it was kind of hard to mess these up. 2. Mix together with a spoon. 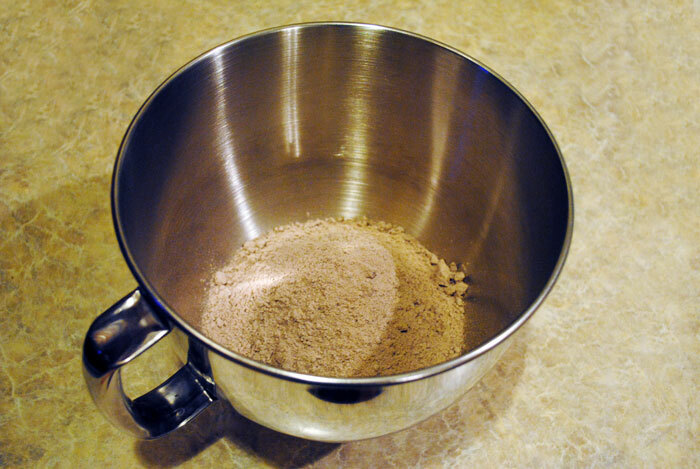 (NOTE: If you are mixing the batter with a kitchen mixer, do NOT use the whisk attachment because the batter will be too thick and get stuck inside of it. We learned this the hard way.) Your batter should be thick like cookie dough, NOT like cake batter. 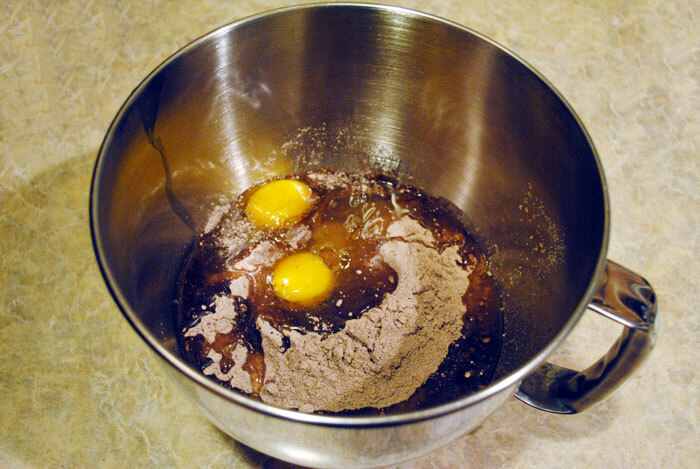 Use a rubber spatula to scrape the batter off the edges. 3. Line a cookie sheet with parchment paper to prevent sticking. 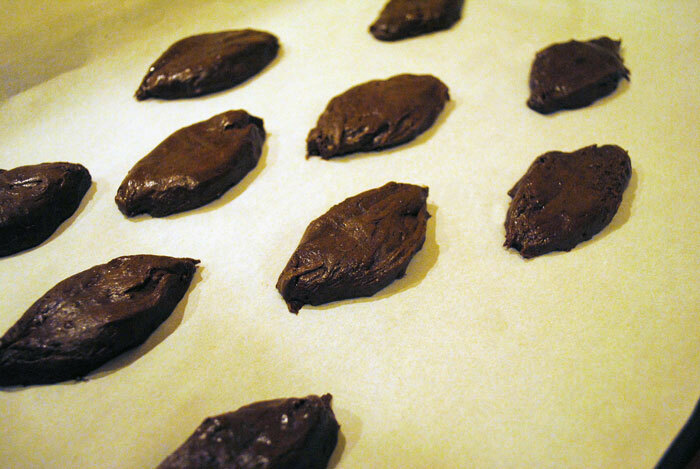 Then place small spoonfuls of the batter onto the cookie sheet. Here, we attempted to make football shaped blobs. Watch out, the batter is extra sticky. 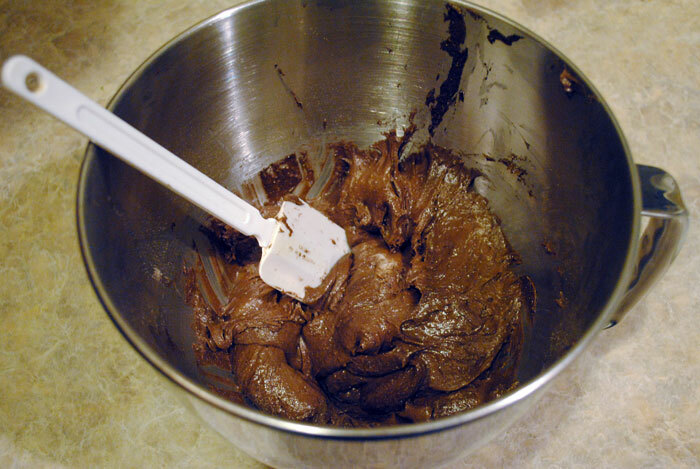 We rubbed a little bit of the oil onto our hands to prevent it from sticking to our fingers when we shaped them into footballs, but if you are going to make regular shaped cookies, then dropping the batter straight from a spoon would avoid that mess. 4. Bake until done. This is where things get tricky. Since we weren’t following the directions on the cake box, the cook time is not going to be the same that is listed. So you’re going to have to watch these little suckers while they cook. Normally, I give cookies a good 9 minutes before I check them. Then, it’s just intuition that lets me know when they’re done. If you really have no idea, poke the center of the largest cookie with a toothpick; if the toothpick comes out without any batter sticking to it, go ahead and pull those cookies out of the oven. Then whack them with a spatula to flatten them out. 5. Let cool for about 10-15 minutes before adding icing. Then, get creative! 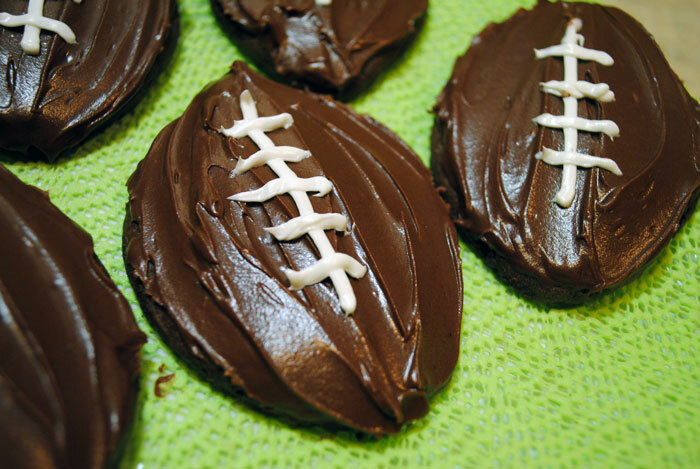 In order to make them look like footballs, we put some chocolate icing on top. Afterwards, we went back with some white icing and made the laces. If you don’t have a fancy piping bag to decorate with, just put a few spoonfuls of white icing into a zipper sandwich bag. Move the icing to a bottom corner and snip a SMALL hole into the corner. 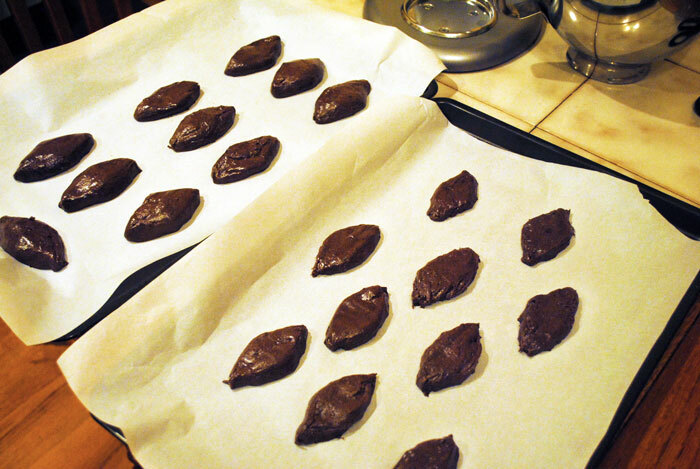 Squeeze one long line along the cookie, and then add smaller lines across it for the laces. We tried to manipulate the icing to bring back some of the football shape that we were hoping for. But once we added the white icing for the laces, they were unmistakably footballs. 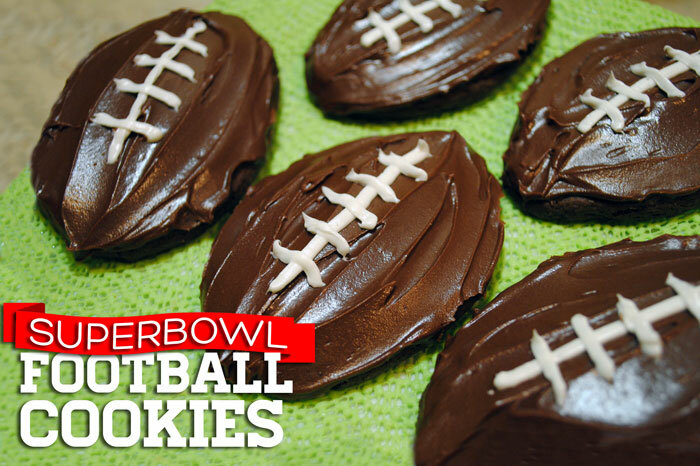 These cookies are a great snack to bring to a SuperBowl party because 1. they’re festive for game day, and 2. they’re delicious! Everyone at the party we attended went back for at least a second cookie; they were that good. With the chocolate icing on top, they almost taste like a brownie, which is fine by me! 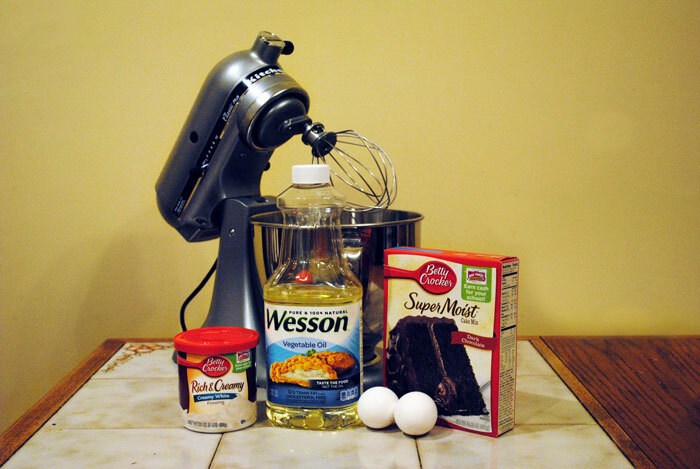 I would love to try this recipe with a different flavor of cake mix and see if they turn out just as yummy. Then the icing possibilities are endless! I feel as though these would be great to bring to a birthday party, so I’ll have to try that one out. Sit back, grab a few cookies, and enjoy!